In Search of Harissa | Does This Font Make Me Look Fat? I’m blaming this cooking adventure on Jamie Oliver and YouTube. Here’s the backstory. For some reason, I wanted fried calamari. It’s something I order in restaurants, but it didn’t seem like it would be too hard to do, even though I hadn’t deep fried anything for thirty years. Frying – yes. Deep frying in inches of oil – no! I went online in search of recipes. The difference in most was the spices added to the flour in which you dredge the calamari. Anne Burrell’s recipe had 3 Tbsp of Cayenne. That was going to be way too hot for me. Giada De Laurentiis (my son calls this show “Cooking with Cleavage) added some dried parsley. Another recipe suggested some Old Bay. So my mixture was a compilation of Google suggestions and what I had on my spice shelf. I added some Cayenne, but I don’t like food that makes my sinuses run. Then I went on YouTube because I wanted to see how you fried the calamari. Jamie Oliver’s video came up, and that’s where the problem started. His calamari had way bigger tubes than the ones in my frozen package so I fast forwarded through that part until I came to the part where he’s making the dipping sauce. Then Jamie stirred several big spoonsful of mayo into the garlic and ladled it into a serving dish. Over the top he added a teaspoon of rosewater. Over that a spoonful of harissa. The red-tinted oil was gorgeous on the silky cream colored mayonnaise. Jamie took the tip of a knife and drew the oil out into the mayo. He must have done a turn as a barista at Starbucks. It was gorgeous. That’s what I wanted to serve with my calamari. My calamari was thawed, the flour was spiced but I had no harissa or rosewater. So I got in the car and drove fifteen minutes to Easton. I wasn’t thinking I’d find rosewater, but If anybody was going to have harissa it would be Harris Teeter. Four employees later we all gave up the chase. Apparently they used to carry harissa, but didn’t any longer. When they suggested I sort through four shelves of clearance items, I headed home. I stopped at Graul’s in St. Michaels on the off chance they stocked it. Graul’s carries a lot of odd things, but they didn’t have harissa either. 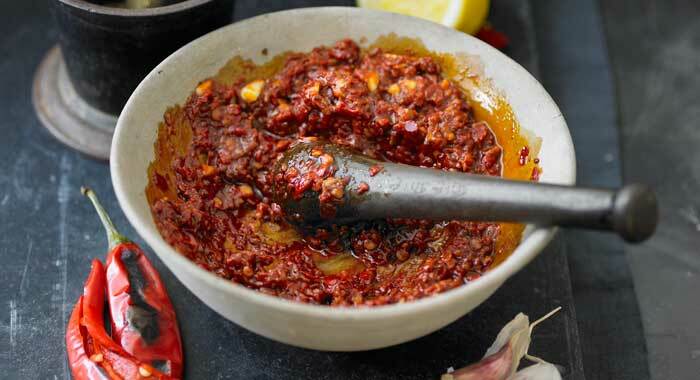 Has anyone else cooked with harissa? 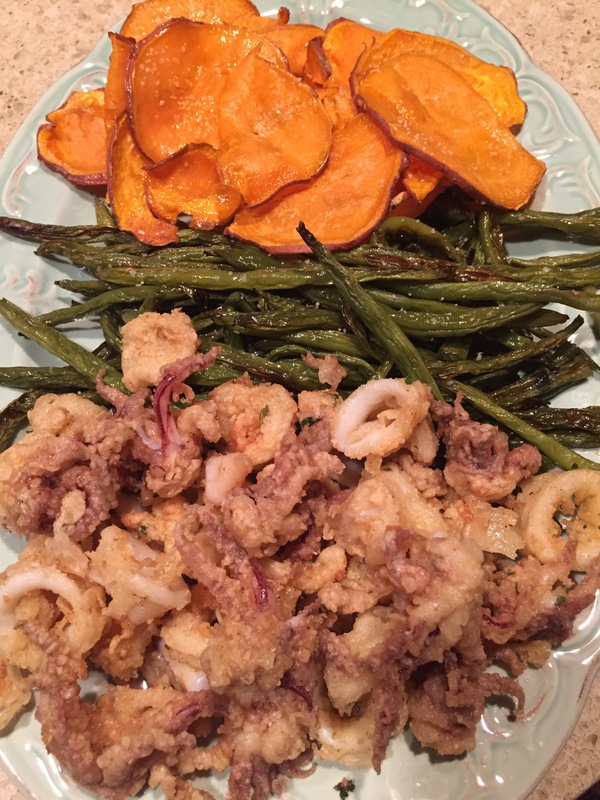 This entry was posted in Cooking, trying new recipes and tagged calamari, Grauls St. Michaels, Harissa, Harris Teeter, Jamie Oliver by Mala Burt. Bookmark the permalink. I found some yesterday at Fresh Foods in Annapolis.